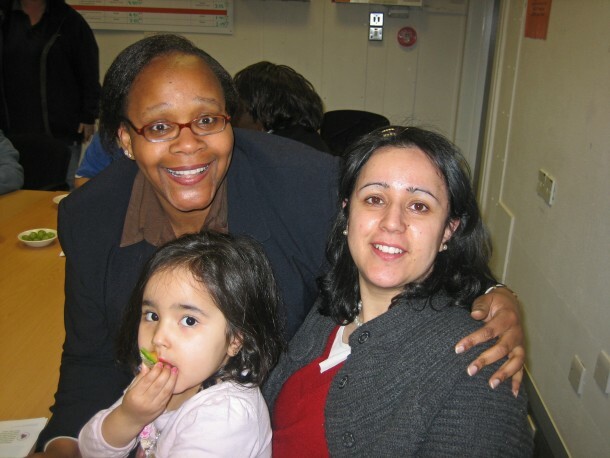 On Monday 20th January, Jubilee Hall Trust (JHT) started its latest MEND programme in Southwark. MEND is a free healthy lifestyle initiative for overweight and obese children, which was developed by medical professionals, and has been delivered by JHT since 2005 in several central London locations, helping hundreds of families. The latest programme, aimed at 7-13 year old children and their parents, is being run at Rye Oak School and is part-funded by Southwark Public Health. The programme runs twice per week for ten weeks and is currently oversubscribed, with 14 families enrolled. Families are educated in how to make better dietary choices on a day-to-day basis, which are low in fat and sugar, as well as high in essential nutrients. Some of the key skills taught include how to read food labels, understanding the difference between refined and unrefined carbohydrates and managing portion control. The importance of being active and incorporating physical activity into a daily family routine is also highly emphasised. Simple changes such as walking or cycling to school instead of driving or using public transport can have a major positive impact on overall health.